Hewn out of solid rock, the extraordinary church of St. George (Bet Giorgis), in Libela, Ethiopia, represents one of the wonders of the ancient world. I have never been a victim of religious oppression, and I never spent much time explaining my religious views to people that have little patience to hear me out, but I was an extremely outspoken atheist. I never had to hide my disbelief. I realized I was interested in why people take the most important matters in their lives, which are morality and spirituality, on faith. As a fundamental Orthodox Christian, I remember fervently defending Mary from Protestant Christian friends who have always tried to belittle her role in Christianity. When I look back at it and try to see the reason/s why I thought I had to defend her, I realize there was nothing but blind faith. I have never met Mary, but I would have died for her the same as I’d have died for Jesus. This is what faith meant to me and what it means to billions around the world. A little after I lost my faith in God, I realized that something deserted me. Yes! Religious faith has the power to make people feel okay in spite of harsh reality. I think this is the most important reason why people don’t want to let it go easily. Only very few people wish that death is the end, and many of us have the fear of losing the people we love forever. The problem, however, is that such fear gave birth to religions which are coercive and laughably detailed out of proportion to the evidence they provide as proof of themselves. I don’t think the challenge “extraordinary claims need extraordinary evidence” bothers them at all. After all, it is about faith. The claims of religion are unfalsifiable. So, it is quite evident that it is not impossible to start a new religion. You just have to say God spoke to you and tell the most murderous of your friends. The rest will lead itself. After a thousand years you will probably have billions of followers. Ethiopia is a deeply religious country. Even though the literacy rate is going up by the day, most people still lack the basic tools to access the latest developments in science. If 83% of the American population, who lives in one of the most scientifically advanced countries in the world, strongly adheres to Stone Age beliefs, I ask myself, what are the odds skepticism can be welcomed by Ethiopian society? It is obvious that the prospects are not hopeful. 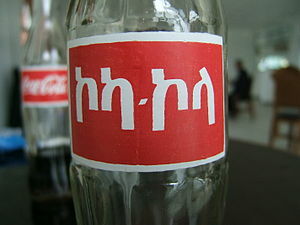 Amharic is the Ethiopian national language, seen here on a Coca Cola bottle. A couple of friends and I are translating publications by great freethinkers and atheists into the Amharic language in a way that is intelligible. We hope it will give people an alternative explanation to what they have been taking for granted for millennia. There is a local saying which translates as “a lie can become a truth if it is repeated well enough”. Now, our society has only been subjected to one side of the story. I think it is time to challenge this side openly. The road is definitely going to be rough and bumpy but this is something worth going after. Finally, I think what the average believer conceives when the atheist speaks of disbelief in God/gods is that the atheist is wrestling with the unchallengeable and blaspheming the sacred. I don’t think we have a choice but to submit (of course, involuntarily) if the kind of God billions believe in exists but the extreme likelihood is that this God is also man-made, just like the others who have gone extinct over time, and we are usually blaming the people who made it up. This entry was posted in Africa, Ethiopia and tagged Atheism, Ethiopia, Faith, Religion and Spirituality, Ye'lshaday Teklu. Bookmark the permalink. Atheisim is the one which is ‘blind’. And you cannot explain evolution. How does something come out of nothing? How is there creation without a creator? A quick glimpse at the complexity of creation and humans screams a designer, God. Please don’t associate atheism with knowledge, and Christianity with Ignorance while it is quite the opposite. The concept of a creator complicates everything ! To create such a complex universe you need a creator who is more complex than the universe. So a creator needs a creator ??? Who created the creator ? You will say the creator has no beginning ! That’s where you got the correct answer. There is no creator and even if you insist that there is a creator called GOD ? Well trust me this creator is not HUMAN !? Humans created GOD ! That’s why the world is full of GODS ! 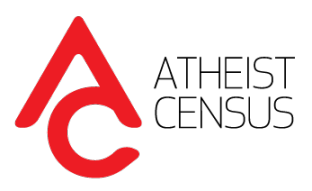 I am so happy to have found this atheist website. I thought there are no atheist ethiopians who come out publicly. Thanks. Long time ago ethiopians here in the US were mainly engaged in associations catering to the sciences and the arts. There were writers politicians artists chemists mathematicians etc who were the main influence makers among us all. Alas, look around you now. For Ethiopians in the US now social lif is different. The preists and the diakons have taken over! Magicians like memhir girma are idiolized. We have gone backward to the 18th century and found ourselves in houses of worship. Most beliver be it a moslem or a christian do not even know what is written in their “HOLY” books. They are just born in to the faith and carry on the blind faith. But residing in America in the 21st century and seeing fellow Ethiopian worshiping a god and angels who do not even look like them(christians), praying/mesged in front of a building(muslims) is sad. We need to debunk all these blind ignorances by publicly exposing for what they really are: man-made. Thanks again. Keep in touch. To me atheism and theism are just two sides of the same coin. As an atheist if you simply go on critising the theists, you are still clinging to their God. Why do you care too much about God? Forget God and do your job. personally , I don’t care about god(s). however, theists constantly try to “save” me from my “wrong” way, so I have no choose but to defend the truth – that atheism. because of this I join the conversation about god, and you accuse me(us) that I care about god(s). How happy I’m with the points you raised! 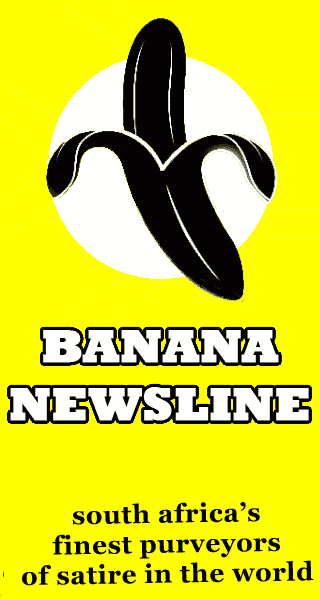 I am fed up with living in an ocean of blievers here in Amhara! nice to meet you……..my dear freinds i will try so many times to get ethiopian atheist. U believe what u want no one cares but u r concious or may b family if they love u but u said u r self that no body influenced u to change u r believes as empty and sad as they are so instead of insulting us by saying we are forced to believe something by fear or society I think u should acknowledge the fact that we are humans and we are capable of superficiality , and self worship as much as u but may b we understand something u don’t I know it’s hard to swallow but try just because u feel like u are the only one who dared to worship himself in a world where God is loved it doesn’t mean it’s true and it’s not a big deal it just makes u a person who prefers to follow some ferenges rules than your own and u are translating books u are so funny u know it is easy to say there is no God its requires some thinking and gut to admit that there is I mean it’s amazing there is so little in this world that humans can take credit for in this world or beyond, u would think it would be easy to acknowledge the maker but no they prefer their tiny bitsy shadow. Its refreshing to find habesha athiests/agnosttics, i have never met in person someone like me (agnostic now but started out as athiest). I was pleasantly surprised to fid this post. I am quit surprised to find some habesha atheists.I am an eritrean agnostic. I want to communicate and join with real athest .iam becaming athest . Please believe in God. It’s important and there’s no actual life without God!